This was the spiritual testing she experienced for a very long period of her life, where she felt alone and separate from the Divine. In essence this describes the testing one passes through on the soul journey, where one's emotional, mental and physical life are tested. Any aspect of life could be tested. Spiritual Testing is part of helping us purify any aspects within ourselves that are not aligned with our life's purpose. Let us do a practice together to pass spiritual testing. Sit in a quite place, comfortably and take a few deep breathes. Place one hand on your lower abdomen (just below the navel) and one hand on the message Center, which is a fist sized energy Center in the Center of the chest just behind the sternum. With each inhale, visualize Golden light radiating from your lower abdomen. With each exhale, the golden light radiates even brighter. Keep doing this at a regular breathing pace for few minutes until you feel yourself relax. Dear all my spiritual fathers and mothers in Heaven, I love honour and appreciate you. Please sit in my message center and bless me to pass my spiritual testing. I love honor and respect you. Please forgive the mistakes my ancestors and I have made in this and past lives. 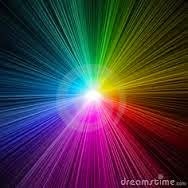 Chant for 5 minutes while visualizing rainbow light radiating from your message center, expanding the size of your message center to the size of mother earth. Chant for 5 minutes while visualizing crystal light radiating form your message center, contracting the size of your message center from the size of mother earth to return to its original size. Your message center is filled with light from the universe, expanded and radiating Divine love and light. This simple yet powerful practice can be done at any time, as many times a day as you wish. Use this practice to pass spiritual testing. It combines opening your message center with forgiveness practice and receiving highest blessings from the Divine & Tao. I am honored to offer you a Divine Blessing for Passing Spiritual Testing. Please open your heart to receive. I wish you great transformation and healing. Thank You, Master Maya, very Powerful, Perfect timing, too! Love You, Love you, Love You! Thank Master Maya, it's exactly the message I needed for today. The practice is short but very powerful! Master Maya this is Nick. Thank you Master Maya. I see in your writings how you have the same ability as Master Sha where your writings and teachings are incredibly simple, and yet incredibly deep. One thing that is always constant in your blog posts is that you always touch new and deep layers of my heart, and open me up to deeper insights and realizations that are taking part in my life. These qualities are the work of a true Master, and for this I am deeply grateful to you and Master Sha. Thank you as always for your incredibly pure example to humanity. Dear beloved Master Maya, I just happened to click on this old post and I found this practice. At present I am going through spiritual and physical testing. I felt your soul guiding me. I am very grateful to you. LOVE YOU. TYTYTY CBDS CBDS CBDS.